Det er et bilde som har gått et par runder rundt på facebook fortiden og de aller fleste har nok fått dette med seg, men jeg velger å ta det med allikevel. 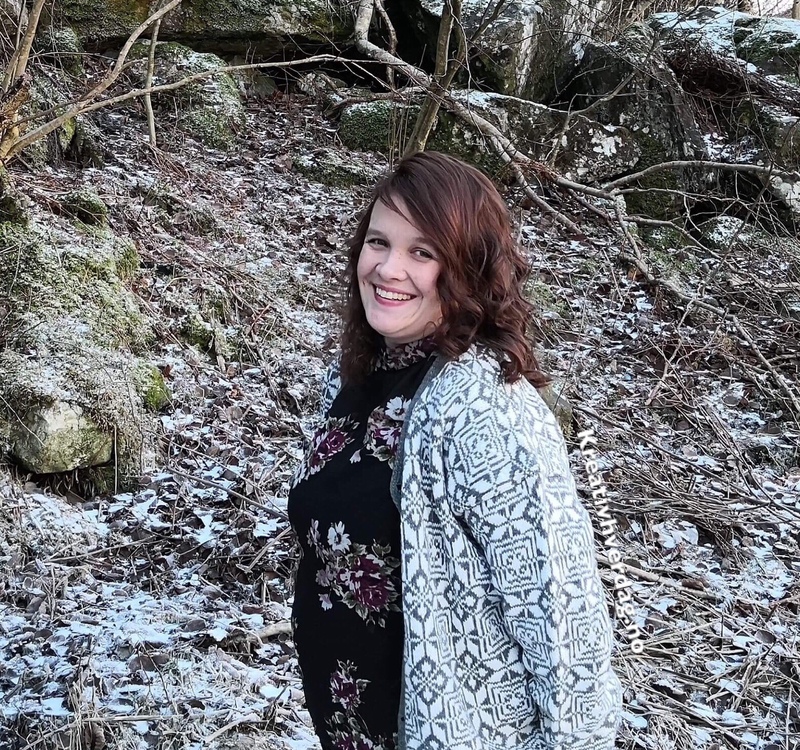 Druer skal deles til små barn opptil dem er 3/4år for disse kan sette seg fast i halsen og er da vanskelige å få opp igjen. Og ingen av oss ønsker å komme i en slik situasjon hvor mini`ene våre ikke får puste. Her i huset har alltid druer blitt delt i to på langs, kanskje i fire også om drua er stor. Og når jeg så bildet og leste historien bak bildet er jeg evig takknemlig for at jeg selv er forsiktig. For jeg vet ikke om jeg hadde klart å holdt hode kaldt om Jonas skulle sette noe fast i halsen som vi ikke skulle klare å få opp med et lite dunk i ryggen. Today was by far the worst day of my life! Ever since reading about that little boy who died from choking on grapes ive been cutting them. Tonight jake sat down on the sofa near my dad he got a couple of grapes and put them in his mouth my dad called me straight away and befor I got the 2.5meters to jake he was already choking. I immediately put him over my knee and hit his back serveral times. Its didn’t work I put my fingers down his throat, I couldn’t feel the grapes. Jake wasn’t able to breathe. I knew I needed to ring an ambulance. Mark got jake and started hitting jakes back while he was still unable to breath while I rang an ambulance. Ellie was crying saying » hes going to die mum, I don’t know what to do» jake was blue and purple and stopped struggling. He wet himself then My mum forced her fingers down jakes throat and managed to pop a grape while mark was still hitting jakes back. My mums finger nail popping the grape made the smallest amount for room in jakes airways which enabled him to finally have the strength to retch hard and bring out the grape followed by blood and mucous. Jake could finally breath. We could beat the ambulance to hospital so we got jake in the car and got him to hospital where his ears and cheeks were still purple. And I have being told by the doctors and nurses he zis extremely lucky to be alive and as well as he is. Jake is home and well with just trauma to his throat. I am posting this to once again spread the dangers in the food most children love. 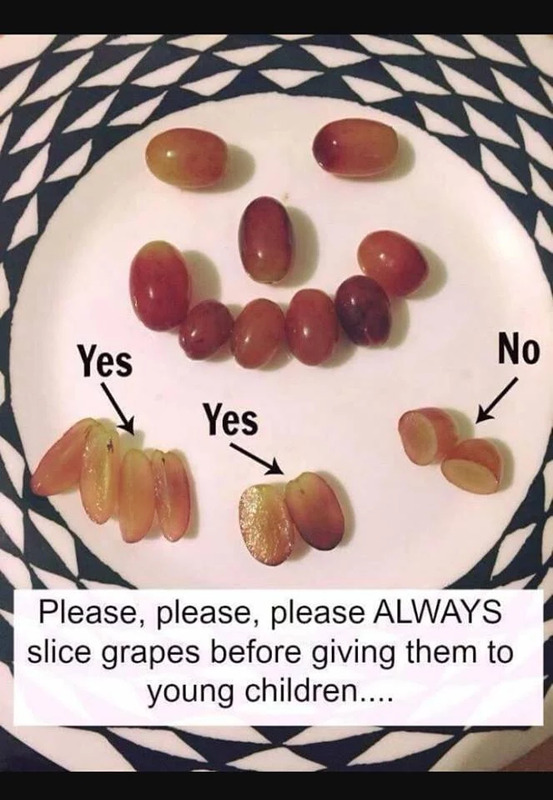 Please cut your childs grapes. Please tell everyone to cut your child’s grapes. Nothing is worth the risk of loosing them.